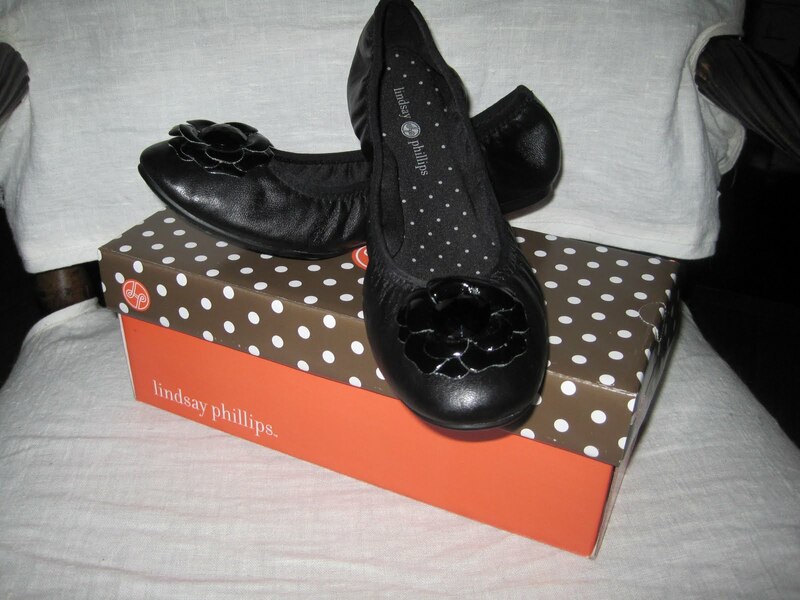 These ballet flats are to cute and unbelievably comfy (and I'm not usually one to care it you get comfort so long as you get cute), anyway the other part of these adorable ballet flats are that they are from Switch Flops/Lindsay Phillips. I'm not wild about switch flops(flip flop you can switch the straps on for different colors and looks) but they really did a great job on these basic black shoe. Plus, if your inclined you can switch out the black flower for other options. To find the Liz Ballet Flat (also available in silver and bronze) go to www.switchflops.com, they are $64.00.